Looking to expand your European e-commerce business globally this year with an multiple currency e-commerce merchant account? To grow sales internationally, you need to present your product/service in the local currency of the buyer (even if you settle in pound or euro) and you need to be able to accept as many alternative payment methods as possible. Even within Europe, not everyone you may want to sell to has a Visa® or MasterCard® branded bankcard so accepting international debit card networks is very important. If your growing e-commerce business needs help with the payments aspect of selling international online, consider contacting Prineta International for a free consultation. 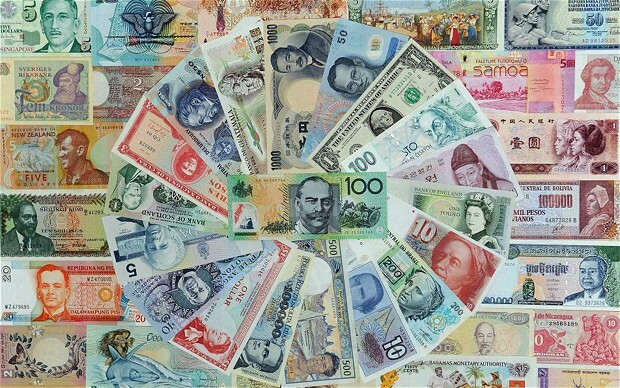 We are international payment consultants and do e-commerce payment processing for companies incorporated in European Union and the EU countries of Austria, Belgium, Bulgaria, Cyprus, Czech Republic, Denmark, Estonia, Finland, France, Germany, Greece, Hungary, Ireland, Italy, Latvia, Lithuania, Luxembourg, Malta, Netherlands, Poland, Portugal, Romania, Slovakia, Slovenia, Spain, Sweden, and the United Kingdom. Accounts for high risk merchant types available for verified merchants registered/domiciled in the EU. 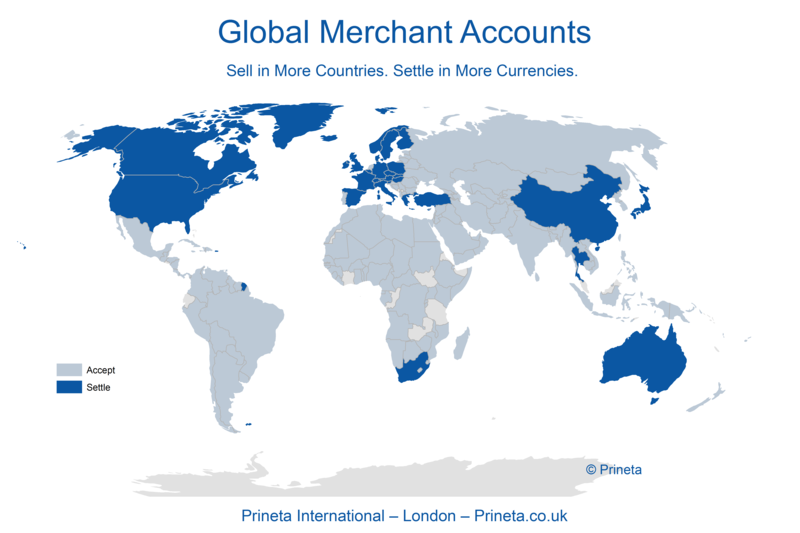 At Prineta, we partner with UK FSA registered Payment Institutions and the best international acquiring banks to help merchants begin selling worldwide and manage all aspects of selling online in a global economy. Prineta clients can enjoy a wide variety of tools to increase the likelihood that online transactions are valid. Transaction screen rules can be defined to meet specific business requirements, and real-time transaction analysis suspends processing when fraud is suspected. 3D Secure Payer Authentication – Cardholders use a password to authenticate themselves when making purchases with Verified by Visa (VbV), MasterCard SecureCode, American Express SafeKey, and JCB J/Secure. Available in new WooCommerce payment gateway plugin extension. Address Verification Service (AVS) – Verifies if the credit card billing address given by a potential customer matches the address on file with the card issuer. BIN Country Confirmation – Matches the Bank Identification Number (BIN) country of the card issuer with the country provided by the cardholder for their billing address. Card Verification Value/Card Verification Value 2 (CVV/CVV2) – Three or four-digit code on payment cards used to verify that a legitimate payment card is in hand when an order is placed. Device Identification and Malware Detection – Threat database uses global intelligence to identify web visitors with compromised devices or who are subject to malware attacks, hiding behind proxies or disguising their identities. Info Capture – Retrieves data from web browsers, including referring sites, to determine transaction blocking. Consumers can submit tokens for purchase authentication. Internet Protocol (IP) Address Geo-Location Authentication – Compares the geographic location of the customer’s IP address against their billing country and payment card BIN. Businesses With The Following Methods of Operation:• Multi-Level Marketing Distribution (not elsewhere unqualified)• Inbound/Outbound Telemarketing Merchants (MCC 5966) – Companies that solicit orders primarily with outbound telephone calls, facsimile or email. Includes “Up-Sellers.”• Inbound Telemarketing Merchants (MCC 5967)-Audio text or videotext that customers access via phone, fax or internet. 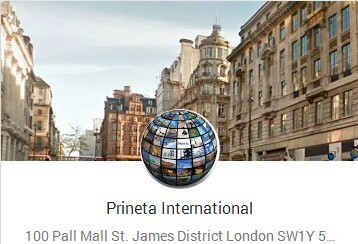 As a well-connected and experienced international payment consultant, Prineta partners with best-of-breed international e-commerce merchant account processors with a proven track record in providing dynamic, robust, innovative and, above all, stable payment solutions for global online businesses. Utilizing state of the art technology (including a Level 1 PCI DSS Compliant Gateway using a 2048-bit Secure Socket Layer (SSL) data encryption key) and incorporating a system of best practices certified by Lloyds Registry for Quality Assurance (ISO 9001), our partners are the professional payment partner of choice within the online e-commerce arena. At Prineta, we have the quality, long-term, global banking relationships through European, US and Offshore banking partners that you need for your growing e-commerce business. Please provide your URL and a short description of how we can help you.